On Friday, September 16, New York City will be sailing into one of the biggest water events of the year: the New York Harbor Regatta. Celebrating its sixth year, the elite event will take place at Governors Island in benefit of the New York Harbor Foundation. Hundreds of guests and participants enjoyed the regatta last year, and many are expected to return to the island again to watch the event unfold. Guests who aren’t setting sail in the races can relax on the beach, drink cocktails and snack on light bites while the regatta takes place. After the teams are done racing for the day, guests can enjoy a night full of entertainment at the Governors Island Beach Club including drinks, an oyster bar, reggae music and food from popular restaurants in New York City. Currently, there are two types of teams that will race in the upcoming Regatta: the J80 and Harbor Team. Members of the J80 teams are comprised of five to six people, while Harbor Teams are made up of four sailors. People that participate on a J80 team will receive their names in Regatta materials, team member gear, 10 tickets to the Harbor Cocktail Cruise and 10 tickets to the Regatta after party. Sailors on a Harbor Team receive a branded spinnaker, mentions in Regatta materials, gear for sailors, four tickets to the Harbor Cocktail Cruise and eight tickets to the Regatta after party. 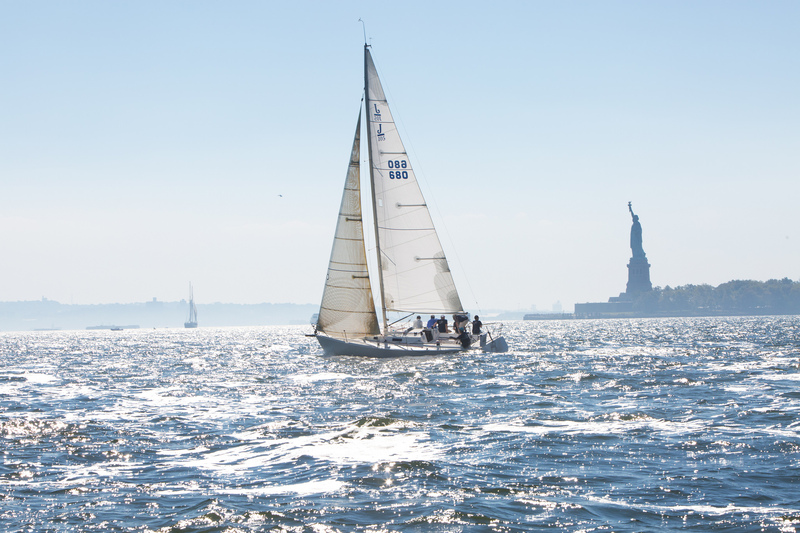 Proceeds from the Sixth Annual New York Harbor Regatta will benefit the New York Harbor Foundation. This nonprofit organization dedicates its time to “improve access to, awareness and education about and condition of the New York Harbor.” The Foundation also established the Billion Oyster Project, which strives to rebuild oyster habitats in the New York Harbor. To learn more about the New York Harbor Regatta or purchase tickets, please visit www.nyharborregatta.com. Images via NYHarborRegatta.com – Mike Sheenan Photography and Lori Hawkins.